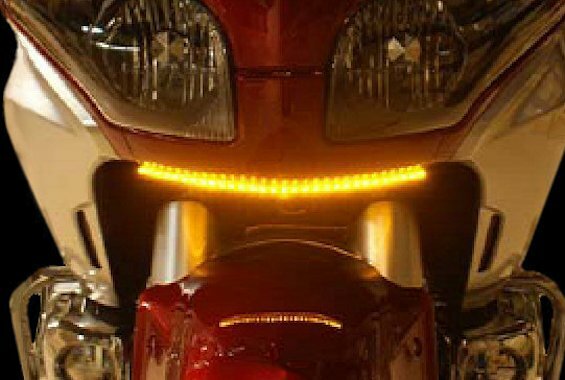 This amber LED strip light is both versatile and extremely flexible allowing it to be used in many places on a bike, trike or trailer. The LED Strip contains 30 LEDs in a clear housing, measures 12 inches in length and has a 40 inch lead wire. The light can also be connected together to obtain any length desired and uses self-adhesive tape to mount. 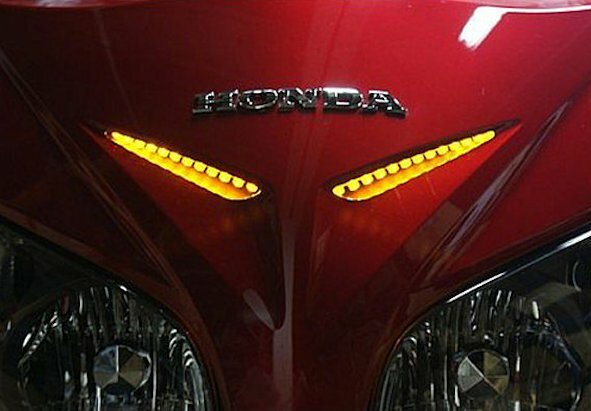 The light has a two-wire function to work as a running, brake or turnsignal light. 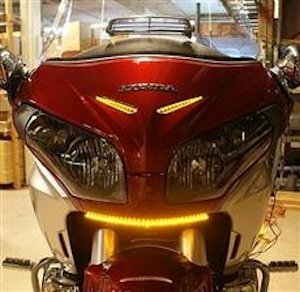 Shown above in the windshield vent and on the front fairing of the GL1800, but can be used for Universal Applications in a multitude of ways and locations on your bike. This is for a Single light. One Strip will do both Vents or the Front Lower Fairing.